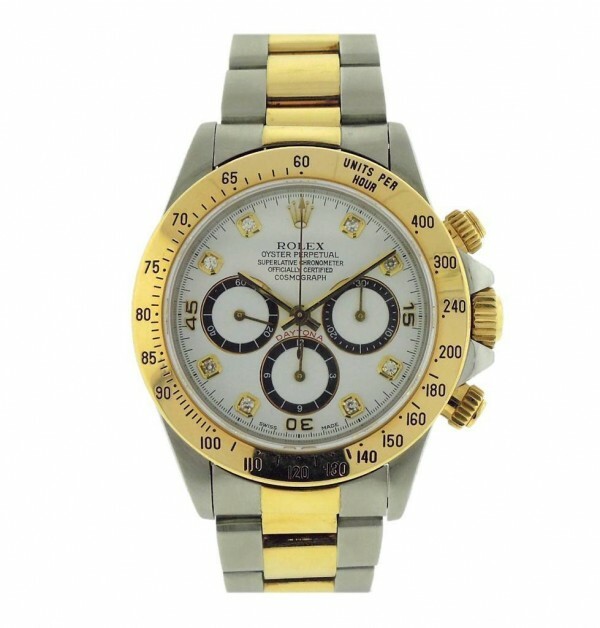 Own this beautiful watch and love knowing that you can own the master of Sports Models, the Rolex Cosmograph Daytona. 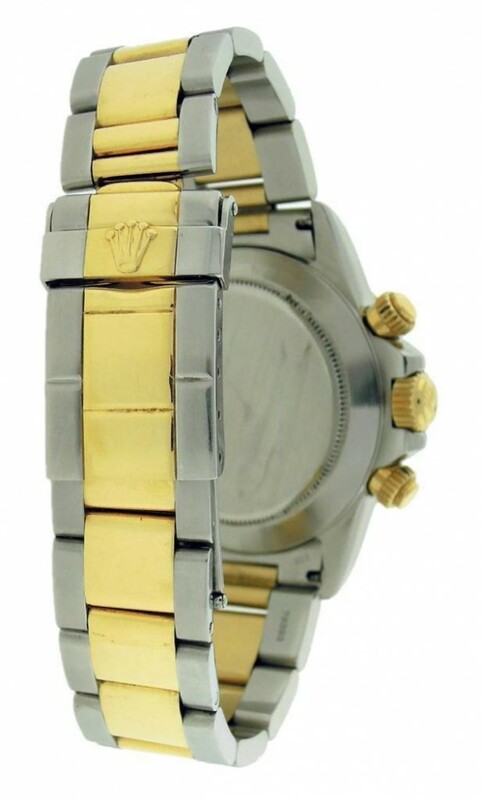 Watch offers you a Stainless Steel and Yellow Gold case and bracelet. 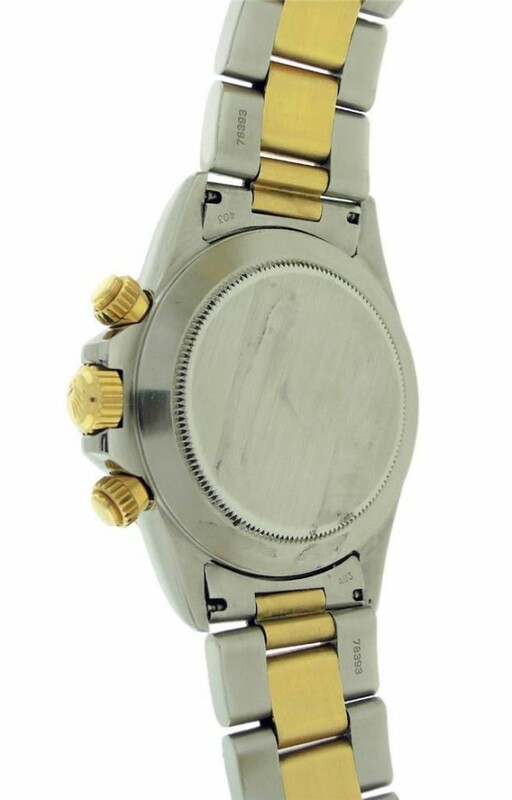 Watch has a white Dial with original set Diamond markers. Watch is an S Serial which means its running flawlessly on the Zenith movement. Watch will fit up to 7.75 inch wrist. 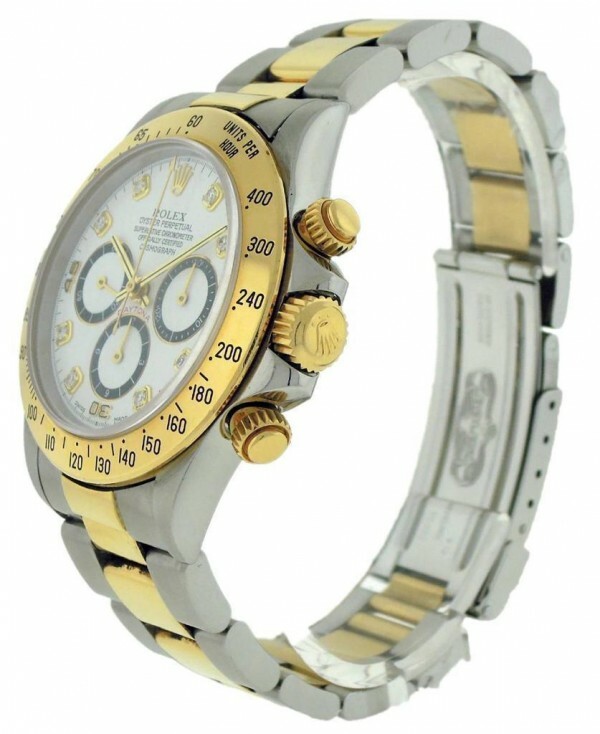 Watch shows regular signs of usage and shows 8/10 stretch condition on the bracelet. Watch makes a great gift. Wear it in great health. the watch is in perfect state, movement is perfect, keeps excellent time, minimal signs of wear, absolutely perfect!